Ghost just released their third album, the Grammy-winning Meliora, one year ago. Now the Satanic band is back with their second EP, Popestar. The five new songs are also included in the newly-released deluxe edition of Meliora. As with their 2013 If You Have Ghost EP, Popestar is comprised mainly of eclectic covers. And as a Nameless Ghoul explained earlier this year, the EP will give fans a hint of what to expect on their next full album. “Square Hammer,” the only original track here, launches the EP, continuing the 1970s sound of Meliora. It was written before the album was released, but the band decided to save it for later. The song has energy, splendor, and a catchy repeated “right here, right now” refrain. Naturally, it sounds the most conventionally like Ghost; the remaining tracks – all covers – push the boundaries a bit more. The first cover is “Nocturnal Me,” originally by Echo & The Bunnymen. Ghost has made the song darker, the heavy guitar is perfect for the doomy band. “I Believe,” a Simian Mobile Disco cover, is rather atmospheric and soft compared to what we usually hear from Ghost. It’s a lovely ballad, and quite different from the synthy original. “Missionary Man,” made famous by Eurythmics, is different and fun. Papa Emeritus sings in a more nasally voice than usual, and he’s complemented by Fia Kempe singing backup. Harmonica by Brian Reed also adds to the song. Popestar ends with a gorgeous cover of Imperiet’s “Bible.” It’s calm and grand, slowly building into an epic, majestic finale. Fia Kempe’s complementary vocals once more take the song to a new level. 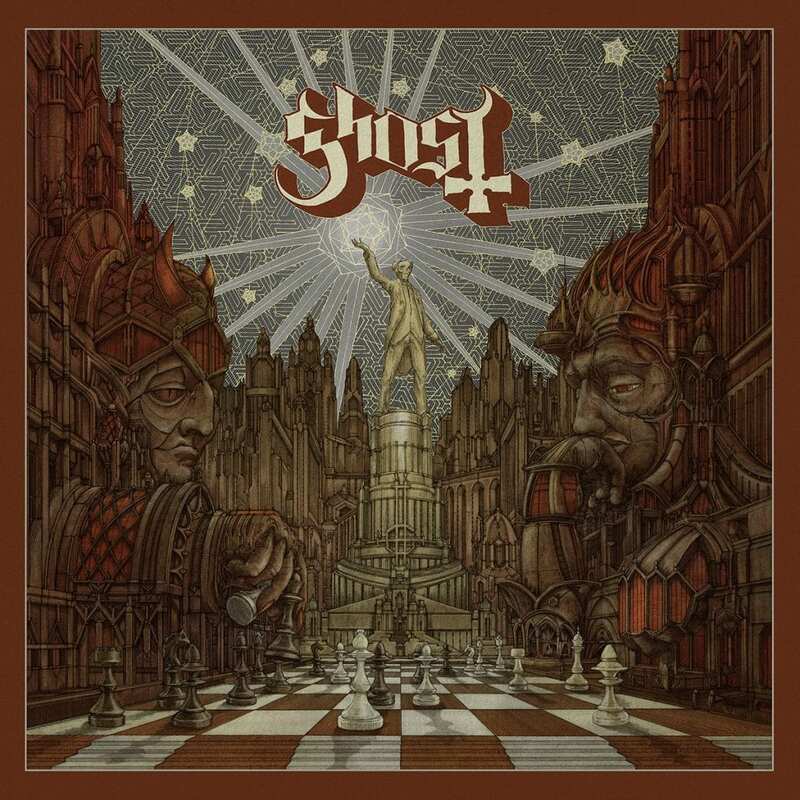 Ghost is taking a different route with Popestar than they did with If You Have Ghost, but the diverse mix of songs proves that the band can do no wrong. Tom Dalgety produced the EP. Popestar is an excellent EP, so be sure to get it now. You can also pick up the deluxe edition of Meliora to get the five new songs. Ghost has also just embarked on a North American tour of the same name – find dates and tickets before it’s too late. Keep checking back here for all the latest Ghost music news.